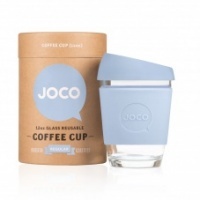 Vibrant Home after much searching are pleased to add the glass Joco Coffee Cup to its range. 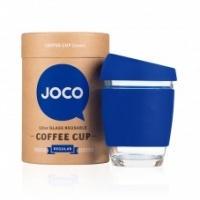 This brilliant glass reusable coffee cup is available in a 12oz size or a larger 16oz. 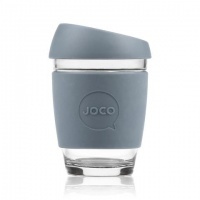 We have spent months looking for a reusable travel coffee cup and we believe we have found it. 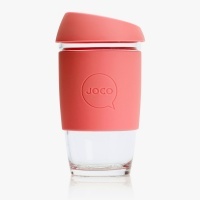 JOCO is 100% plastic-free. 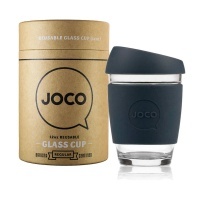 Made from borosilicate hardened glass and a premium silicone sleeve and lid, it's manufactured to last a life time. 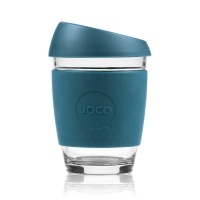 When you first see JOCO's elegant curves, you'll understand our passion for the ultimate cup. 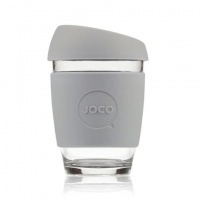 Featuring an extra deep lid for easy drinking and a narrow base to ensure any sugar mixes in easily. Designed with baristas in mind, it will fit under any coffee machine and the lid simply pops on like disposable cups they are used to. 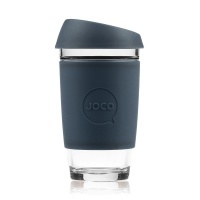 Voted the best reusable coffee cup by The Guardian. 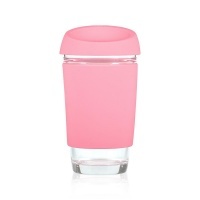 landfill is limited, say NO to disposable cups.